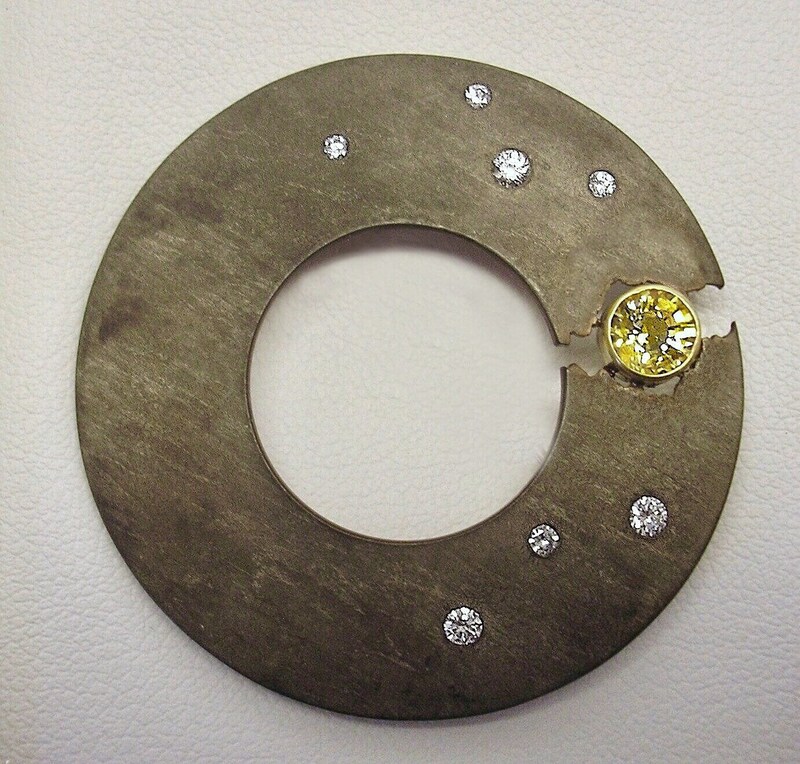 This is a distinctive brooch created from matte-finish Shibuichi alloy, flush-set with seven round brilliant diamonds of VS clarity, G-H color .34 ctw, and one .62 ct. bezel-set Fancy Yellow Sapphire. Bezel and pin-stem are 14K gold. Shibuichi is a traditional Japanese alloy used for inlay, and takes a rich grey-brown-black patina.